You know it's summer when the macro lens comes out and stays on. Mine has been on my camera for about a month now, and barely comes off. There are just too many things to point it out at this time of year. It is completely different to bird photography, and requires a whole new set of skills and understanding - skills I don't yet have, but I'm working on it. You might think it would be easier, but I'm not so sure. Who cares though, as it is a whole lot of fun with infinite possibilities. I was wondering about doing a series of articles/posts about the merits of various lenses and photography techniques, as I do at least know a little these days, but felt it might end up a little turgid, and not really suit the style of this blog. Then I got to thinking that this blog doesn't have any style, or at least not one that I can easily describe, so maybe I'll just do what I normally do and babble. You can get your photography tips from far better places than this. So, today, when I had finished some domestic chores that have already been undone by my children, I headed out onto Wanstead Flats. I took a birding lens, but had no expectation of using it, and that indeed proved to be the case. The macro lens on the other hand was used the entire time. I actually have two, a 180mm, and a 100mm, and on this trip it was the 100mm that came out, mainly as it has an image stabiliser that alleviates at least some mucking about with a tripod. For serious macro photography, a tripod is essential, but it removes a lot of the enjoyment from just walking around with your camera and pointing it at random stuff. You can be a lot more mobile and flexible without one, and that is my preferred style. There was heaps, I almost didn't know where to point the camera. Everywhere I walked I kicked up grasshoppers of varying sizes. Multitudes of grass moths flitted about, and bees were everywhere. Butterflies were thin on the ground, but I found a few Small Skippers and a Meadow Brown, all of which flew away. A long way away. 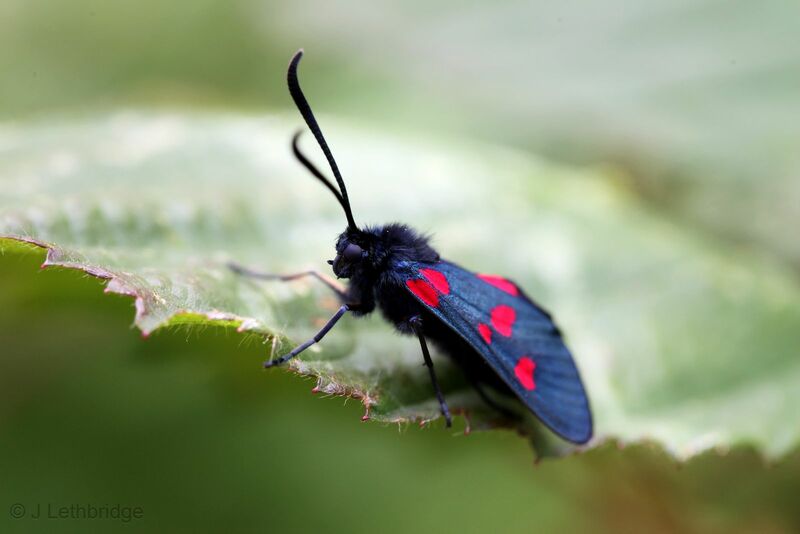 Far more cooperative was a Five-spot Burnet, a day-flying moth, resting on some bramble. And very useful for getting this blog back on topic. The real interest was in the plants though. 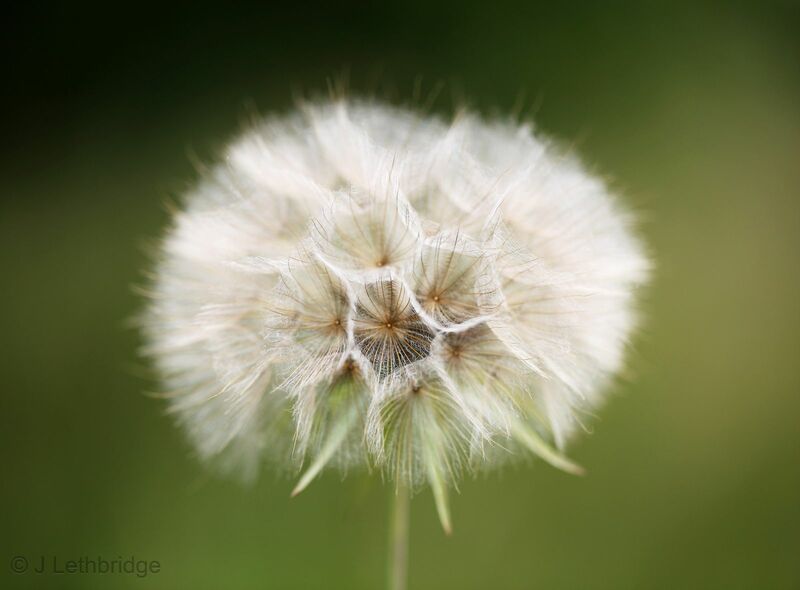 I have no idea what this one is, the flower is long gone, but it was probably some kind of Dandelion. 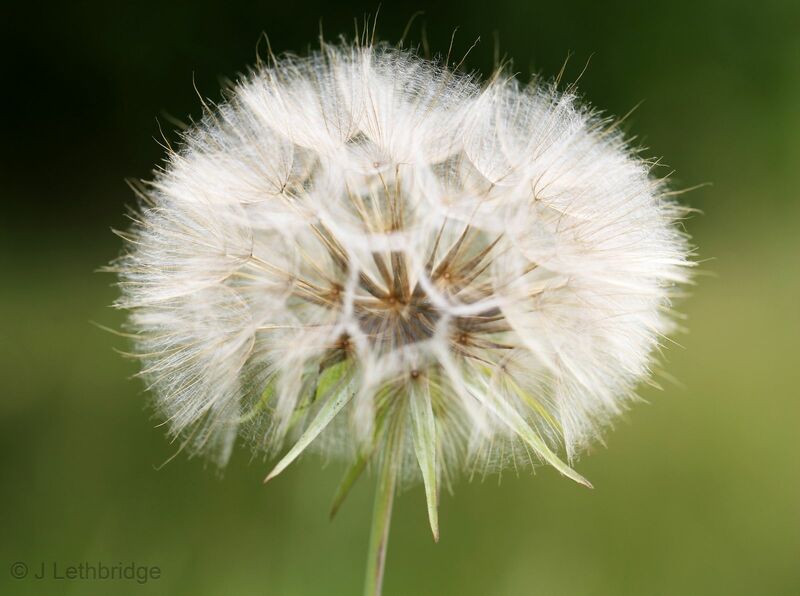 A massive one though, as the seed-head is about four inches across, and extremely intricate. Probably full of fractals or something, or that Fibonacci sequence. Not that I understand either of those things of course, but they sound good. Anyway, assuming they're still there, I'm going to go back tomorrow and give them really good go. 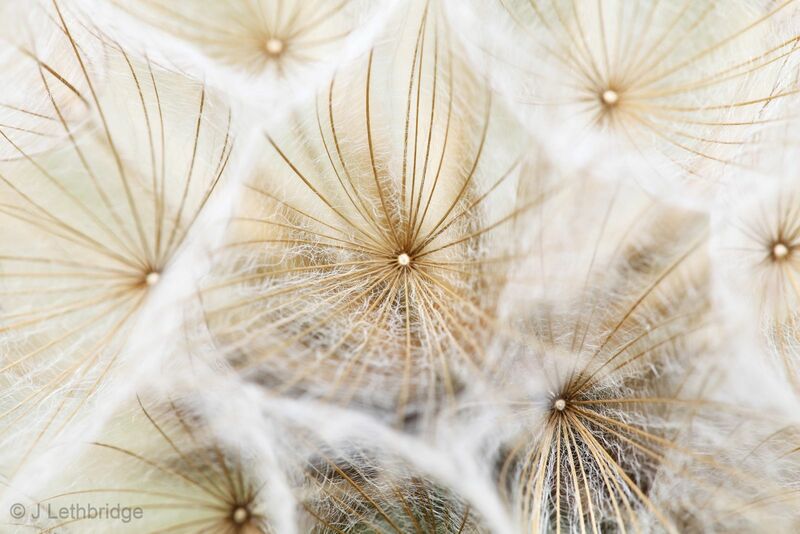 Jonathan, the seed head is from Goat's-beard.